Redtail Ponds is a 4-story building located a block south of the new south transit center in Fort Collins. 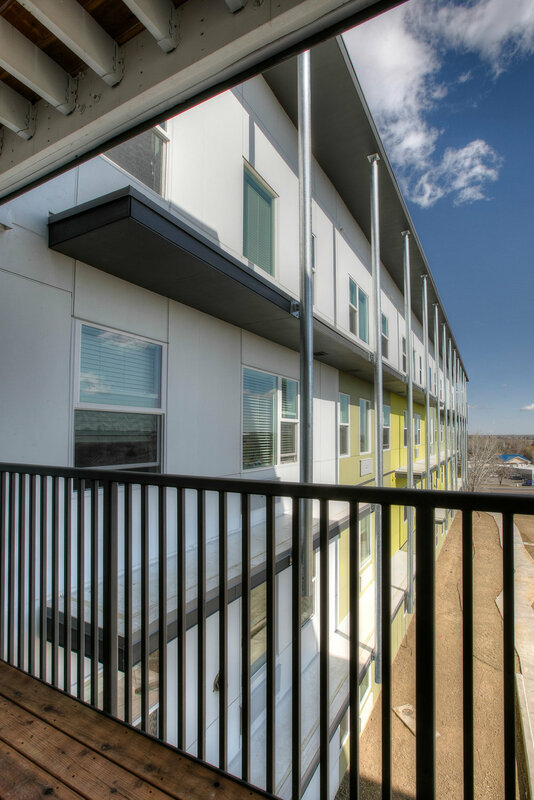 It is a mixed-income 60-unit apartment community with 40 one-bedroom units and 20 two-bedroom units that provides on-site support services for the homeless and low-income adult men and women. 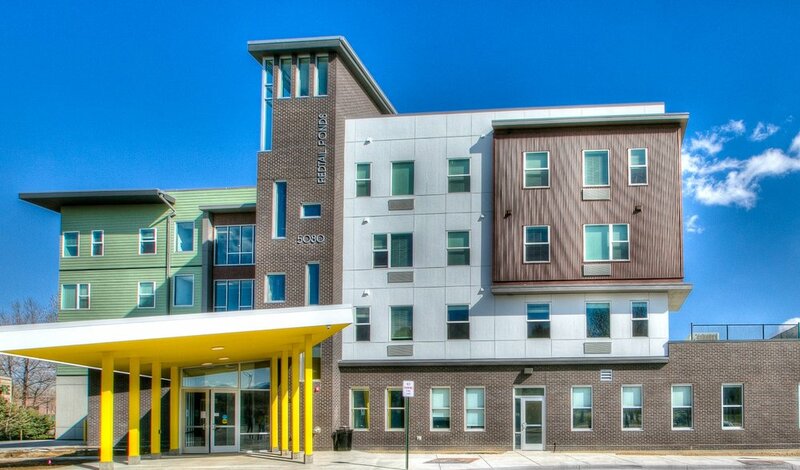 The project is designed to meet the needs of homeless and formerly homeless disabled individuals and veterans. 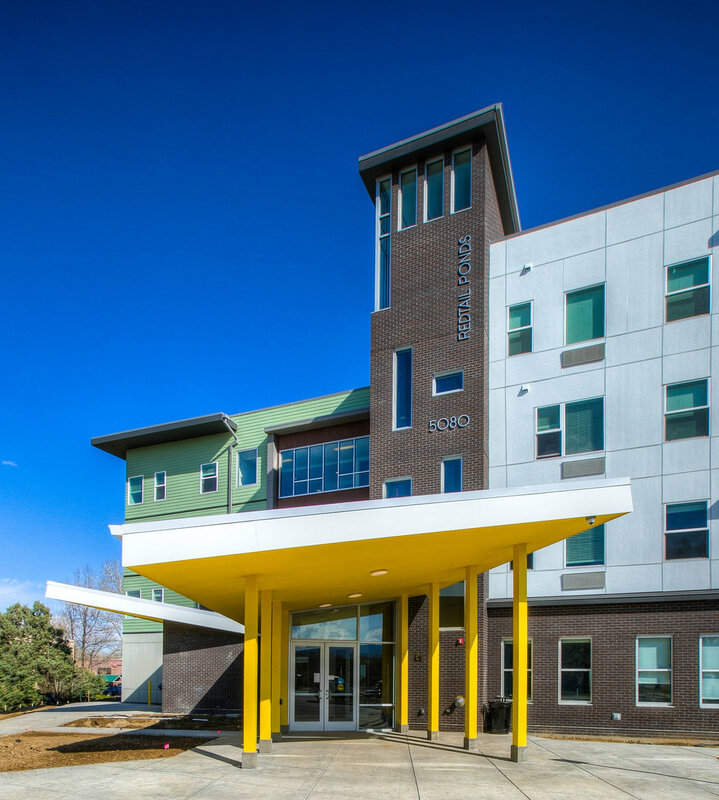 The development includes a community kitchen, fitness area, computer room, community garden and several common areas for resident to congregate. The main community space is tied directly to an outdoor plaza that provides good indoor/outdoor connection for community activities. Apartments were designed to have a sense of home that provides a sense of safety and empowerment to all residents. 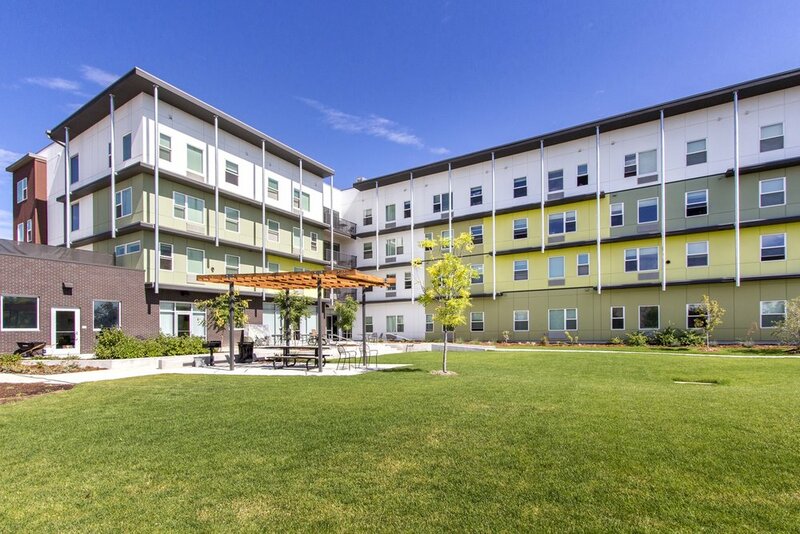 Each units were designed to bright good daylight and scenic view of surroundings.